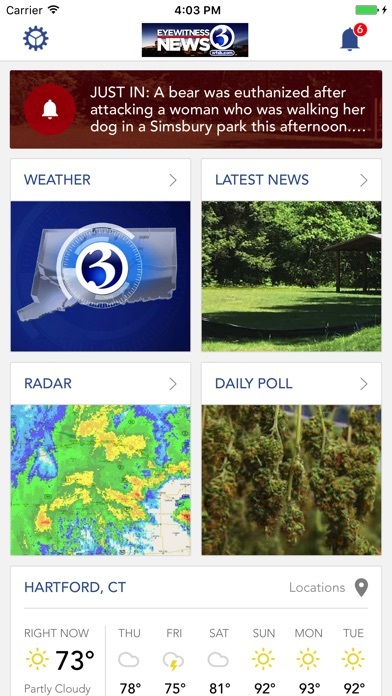 WFSB-TV Channel 3 - Stay on top of breaking news, weather and traffic with the Channel 3 app. It’s the information you need to know on the go. 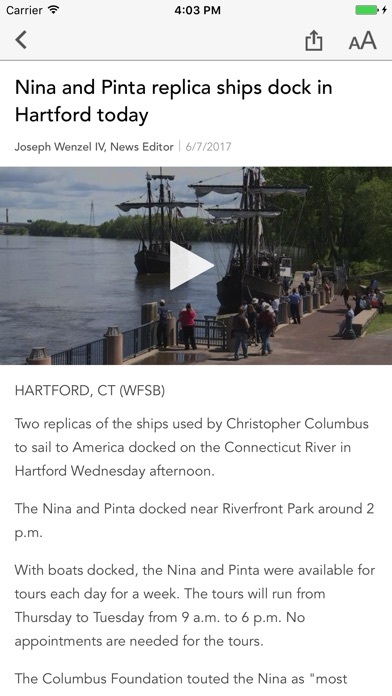 Get the top local headlines for Connecticut, as well as news from around the U.S. and the world. The Channel 3 app puts the power of Early Warning Pinpoint Doppler in the palm of your hand and you can check pinpoint traffic before you hit the road. Download the Channel 3 app now. I’ve been watching this station forever. It’s the only one for me! Way to many notifications of the exact same story, just worded differently. Ridiculous!😠😡 BTW, You Are Not The #1 News Station In CT. NBC has you beat! Very convenient. Accurate. Makes it easy when you’re on the go! WFSB you understand me! Nothing fake here. Trust the best and leave the rest. 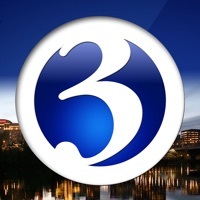 WSFB Channel 3 News is Connecticut’s number one news station. Thank you! 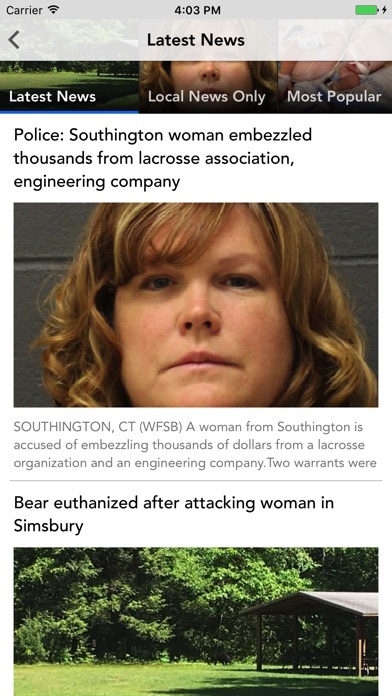 My favorite news app is fox 61 everything is right there when you open the app no clicking to find whatever. Love the morning team! Love all the teams, everything! Having trouble playing the weather forecast. It gets stuck or simply throws me out of the app. This app is not reliable...the live broadcast doesn’t always stream...and the weather portion will lag and stop playing randomly. Downloaded the app to watch live news. WAY too many skips...like a bad video. Don't see why they can't fix that. 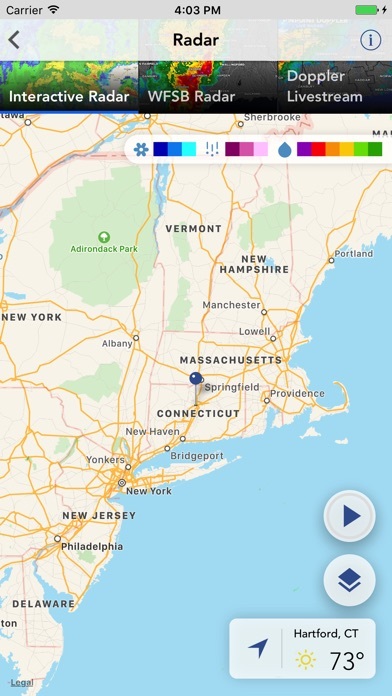 I understand from a developer’s point of view it may be easier to maintain 1 mobile app versus a few, however I was pushed to download the regular WFSB app because the Weather app was obsolete and is no longer offered in the Apple App Store. 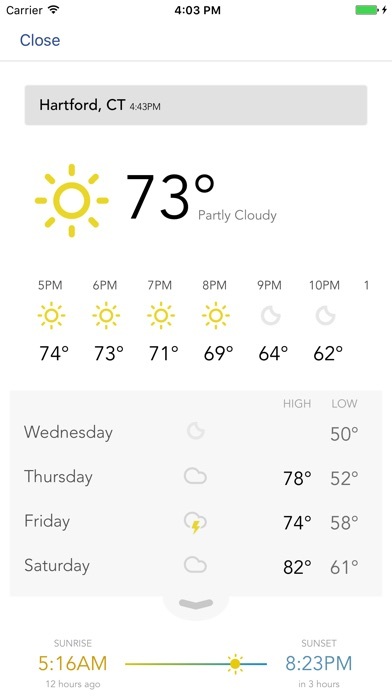 I only need this app for weather, however there’s no push notification for only weather, it’s app wide. So now instead of getting an update on the upcoming winter storm I’m getting alerts on “who will be singing during the Super Bowl halftime show.” Ill stick with the Weather Channel app from now on. I could use less ads and even less typos. I don’t have time to watch tv so I use the app, unfortunately I still don’t think I’m being provided with up to date news that I NEED. I filter for local news only and still get national news that’s not even important national news. The typos however are extremely embarrassing, do better. Always have to watch a very long add before viewing videos. Too many teaser notifications. The tease you with notifications to open their app. Very annoying!!! The app is my news source. Overall very pleased. I’ve had a couple of occasions to contact WFSB 3 when the app’s had issues, and they’ve been right on it, and even responded to me. They just need to monitor it more frequently, or ask users to contact them. One major complaint though, and this is actually more about website...inability to comment on stories. Not liking that AT ALL! Channel 3 is better than that, (I hope!). They have good stories - but when they send an alert it opens to a screen that says “Be right back” - it should open to the story! Trying to watch the Noon News on this app certainly did not work well for me just now. I have an iPhone X running on wifi that works fine for everything else. Commercials, then choppy videos, a frozen screen, app crash - you name it. I closed the app and tried again twice. As heavily as they promote this app on that newscast, a viewer would think that it worked well. Nope. Very disappointing. It sure would be a much better News Site if they had less political opinions and more actual news. Just saying! Each cast team member makes you fell like a family member a part of your Team. I love WFSB news, traffic and weather in the morning while I get ready for work. But the live streaming needs serious help! It stalls, repeats, and cuts out entirely. I still watch it anyway because I love Scot Haneys morning cheer. Please fix this streaming issue! Channel 3 is all I watch. The morning crew is way too polite. Nicole, tell Scott off more cuz it’s not HIS show it’s ALL of yours! Good job! I have always liked Channel 3 . I love their Cover stories , very Professional , and Truly a people’s Broadcast . Thank you for all you do for us in Connectiut .Mary Calvo . This is what I see almost every time I go to this app … frustrating! You cannot search articles or customize alerts. Whenever a news item is on TV and the newscaster says to look at the app for more information, it isn’t readily found. I’m a librarian - if I can’t find it, there’s something wrong. The app isn’t intuitive and there is no readily apparent search function. I think I’d rather watch the real commercials rather than constant “we’ll be right back” or The same Farmer’s and Chevy commercials ad-nauseum. And give us a real way to select what alerts we want to get. Most of them I consider to be spam. Look to WFSB for weather info but I don’t like the commercials added to the app now. Is there anyplace you can go now and NOT be bombarded with commercials? I trust it for weather.